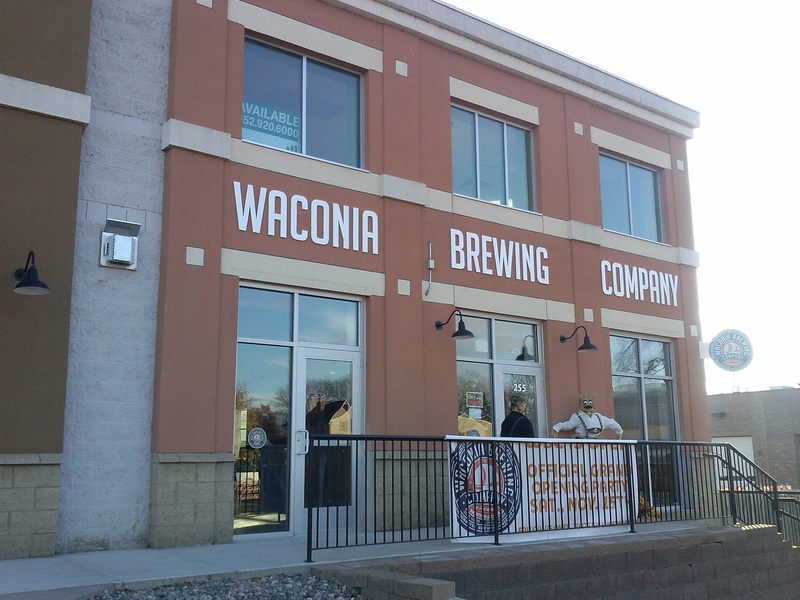 If you consider yourself a taproom aficionado, the opening of Waconia Brewing and taproom in the west metro is like a ray of sunshine on an otherwise cloudy day. “Approachable Brews from Approachable People” is what the Waconia Brewing Company website declares, and after trying their flights and chatting with owner Pete DeLange and Head Brewer Tom Schufman, I found both to be true. The brewery “soft-opened” their 5,000 square foot facility on 10/22 and plan a 11/15 grand opening. The taproom is roomy (2500 sqft) and it greets patrons with a comfortable, rustic/cabin ambiance. The bar is prominent, sporting a polished cement top and 12 taps. Filling out the taproom are tables both high-top and chair-height, made from thick recovered and refinished wood with dark steel frames. There is some unique decoration. One wall, covered by barn wood, is adorned with the WBC logo. The logo is painstaking made of drywall screws. My favorite area has to be the working fireplace in the corner. The fireplace is completed with deep, padded chairs just crying out for guests to sit, chat, and enjoy. He makes a good point. I’ve done a beercation or two and didn’t think about the distance. 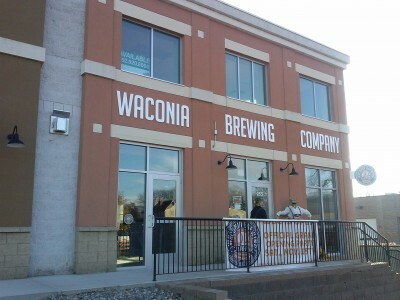 Once the grand opening is complete more Waconia Brewing events will be put on the brewery calendar. 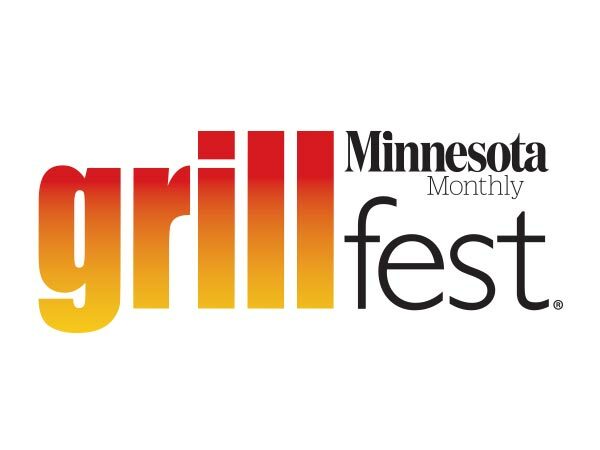 The events will be designed to educate, explore, and enjoy the beer and the local culture. 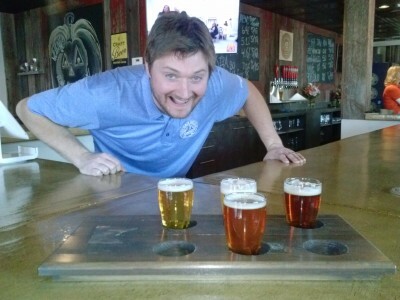 Tom is pretty excited about that sampler! The brewery had 4 beers tapped during my visit. 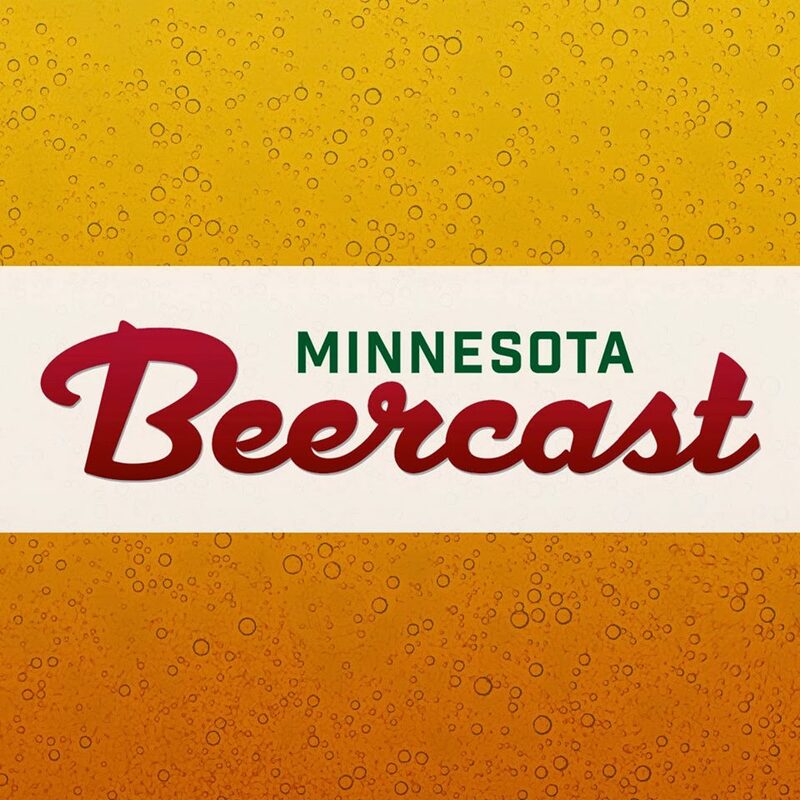 We tasted a Kolsch, American Amber, American Pale Wheat Ale and an American IPA. All four of the fermenters were bubbling with four more beers, and they just released a Belgian on Thursday (10/30). With eight bright tanks directly connected to the 12 taps, the brewery hopes to offer something for everyone. “Even rootbeer for the kids,” added head brewer Tom Schufman as we watched a five-year-old and his mom play one of the games kept behind the bar. “Are you family friendly here? You want kids to come in with their parents?” I asked. “Absolutely!” agreed both Pete and Tom. “We’re not a bar. We want to be approachable and let our customers discover the awesomeness that is craft beer.” Appropriate that the former daycare building still embraces little ones. “You can,” replied Dee, pointing out the two HDTVs placed high on the wall behind the bar. Her answer raised cheers from the patrons, who were obviously Vikings fans. It’s a small town vibe with easy accessibility to the Minneapolis/ St. Paul metropolitan area. Take highways 212, 5 or 7 west to get out here and see us on the corner of Maple & Main street. The beer is as fresh as the air out here, come see for yourself.